The Rockaway Youth Task Force’s Food Justice began as a response to the widespread damage to the Rockaway peninsula after Superstorm Sandy, resulting in the shuttering of many small stores and supermarkets. Lack of healthy food options in the wake of this destruction – particularly for lower income families and individuals in the community – prompted RYTF members to develop sustainable solutions for access to locally-grown, low-cost fresh produce that could be easily available to residents. The result was the successful launching of a youth-led Farmers Market and the building of one of the largest youth-run Community Garden on and empty half-acre lot secured through the NYC Parks Department. Our Urban Farming Apprenticeship is a 9-month internship during which participants get an in-depth and hands-on education in agriculture, environmental science, green technology, and entrepreneurship. Participants will be able to grow on our ½ acre farm and greenhouse to supply a weekly farm stand, provide maintenance to our solar energy and rainwater harvest systems, as well as attend weekly workshops on a range of topics including career readiness skills, entrepreneurship, and financial responsibility. Learn more about the program here. Participants will receive a monthly stipend and will also be able to take home fresh produce on a weekly basis. Residents in Rockaway do not have adequate access to healthy food. 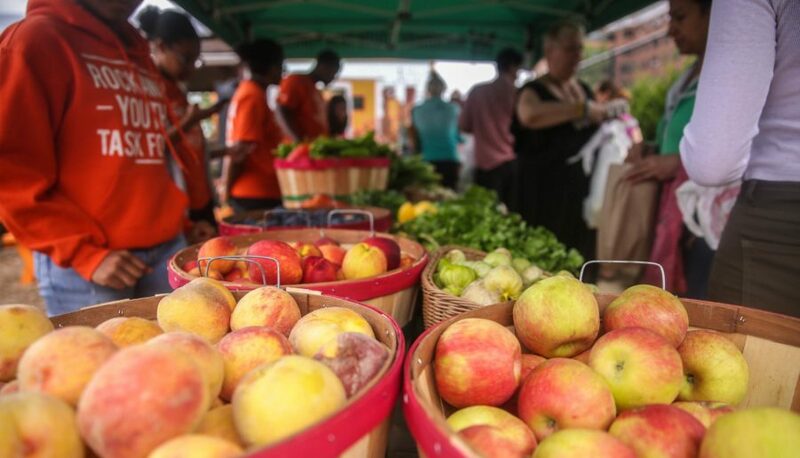 Through our weekly farm stand, RYTF is able to provide access to fresh, affordable fruits and vegetables to all Rockaway residents. Our farm stand operates every Saturday from 9am – 2pm and is open for 20 weeks from July to November. The market is stocked with a variety of in-season produce. We accept all forms of payment including Cash, Credit, EBT/SNAP, and WIC or FMNP checks. Check our website & Facebook page for what we’ll have this week! 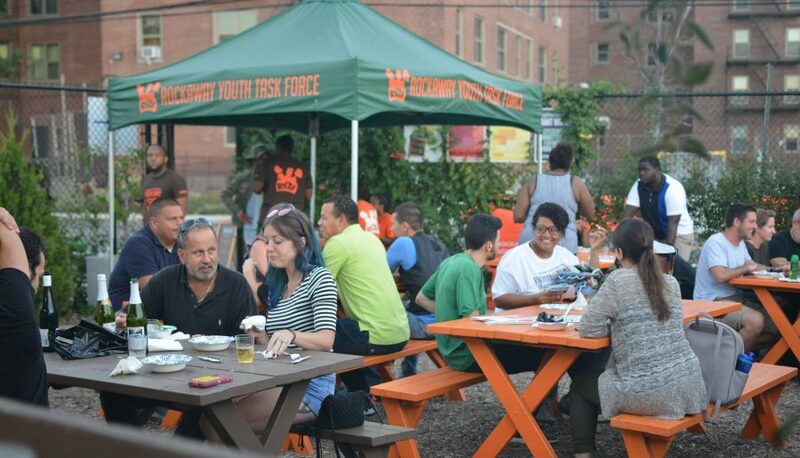 We pride ourselves on being able to provide an open community space for Rockaway residents. Throughout the growing season, RYTF hosts a series of free events for the community as well as fundraising events at the farm such as open mics, barbeques, farm dinners, composting events. Guests can get a tour of the farm, meet our young people, learn more about our work, and enjoy great food and music. During the warmer months we also use the farm as a venue for our quarterly town halls where we educate the community about current issues that impact them. Check out the calendar or visit our Facebook page to find our next upcoming event! Farm Based Learning: The Rockaway Youth Task Force Urban Farm is a classroom where children and youth roll up their sleeves, learn about plants, and explore where their food comes from. We host groups in the spring, summer and fall from local schools, summer camps and teen programs. Our Maximum capacity for school groups is 30 students. The fee for each visit is $300. Scheduling priority is given to schools in and around the Rockaways. Email us at info@RYTF.org to schedule a visit with your school today! We welcome drop-in volunteers to help with Farm work every Saturday from 10:00am – 2:00pm. There is no need to RSVP, just show up and we’ll put you to work! Double – check our Community Calendar in case of cancellations. Children are welcomed to volunteer at the farm as long as an adult accompanies them. Farm work takes a break during the winter months, but continues in the spring. Volunteers over the age of 13 are welcomed to join us during open Volunteer Hours; an adult must accompany younger children. 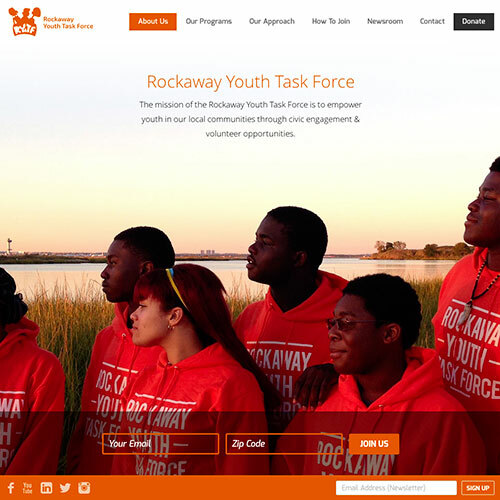 The Rockaway Youth Task Force staff work with a variety of corporate groups and non-profits to host meaningful and productive volunteer events for their staff. We are able to accommodate groups of 10-30 people to take on a variety of task including – pulling weeds, harvesting, and special building projects, all while getting dirty and having fun! We typically ask for a $45/ person donation to help us cover the cost of materials and staff time. Email us at info@RYTF.org to schedule a volunteer day on the farm.